It is common knowledge that women must avoid alcohol consumption during pregnancy in order to prevent alcohol-related complications such as Fetal Alcohol Syndrome (FAS). Pregnant dads, however, have been given the green light on alcohol consumption, since the understanding is that nothing dad consumes comes into direct contact with the developing fetus. A new study from Korea, however, indicates that dad’s drinking before conception may need some rethinking. Children born with FAS suffer symptoms that range from mild to significant and have life-long effects. There is no cure. Some of the most heartbreaking outcomes of FAS include abnormalities of the nervous system, retarded intellect, social problems that can lead to isolation, and stunted growth. 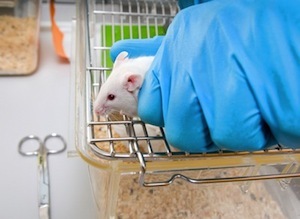 The Korean study, funded by the Korean Food and Drug Administration and the Basic Science Research Program, involved male mice but the effects are likely similar in humans. The mice were divided into two main groups: the control and an alcohol-fed study group. The alcohol group was subdivided into four sub-groups, with each sub-group getting one of four concentrations of alcohol. Each mouse getting alcohol was fed the alcohol in a saline solution twice a day for seven weeks. The scheduled feed-rate eliminated the possibility of binge drinking, which would produce effects too erratic to quantify. After seven weeks of alcohol consumption, the alcohol intake was stopped for a week and a female mouse was put in the male’s cage overnight. The control group mated, too. The female mice were never fed alcohol. The female’s visit marked day one of gestation (GD 1). Six female mice who mated within each of the alcohol sub-groups and the control group were allowed to bear their offspring. For the remainder, the fetuses were taken at GD 16.5 for examination for FAS symptoms. The mice offspring carried to full term were examined 35 or 56 days after birth. The birth weight of all the offspring was about the same for both groups (alcohol and non-alcohol). The research team weighed and measured major internal organs and reproductive organs. Internal organs — brain, heart, kidneys, liver, lungs, spleen, and thymus — of many of the alcohol group were smaller than normal or were deformed as is characteristic of FAS. The brains and kidneys proved especially vulnerable. The reproductive organs didn’t vary significantly between the two groups with the exception of decreased prostate weight in the alcohol-fed group’s male offspring. This study highlights the importance of a father’s alcohol consumption in the period before conception. Until further studies are done on humans, men who plan to conceive a child in the near future may want to forego happy hour until after the child is conceived. It seems the healthier both parents are, the healthier their children will be. Source: Lee, Hye Jeong, et al. “Transgenerational effects of paternal alcohol exposure in mouse offspring.” Taylor & Francis Online / Animal Cells and Systems. Informa UK Limited / Informa Group Company. Dec. 24, 2013. Web. Feb. 22, 2014.